First things first, this article isn't in any way here to negatively review learning matched betting via the Money Saving Expert (MSE matched betting) forum. It's just to outline why you're better off starting your matched betting journey with the team at Team Profit instead. 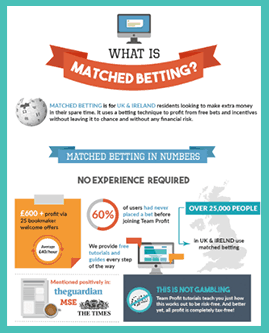 What is the MSE Matched Betting Forum? ...However, popularity does not always equal quality! The early days in a matched bettors journey are make or break. 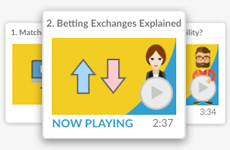 If you can't get your head around the concept of matched betting quickly then you may lose interest, similarly if you aren't engaged with the learning material you may get bored easily. Both result in you missing out on thousands of risk-free pounds. That's why Team Profit put such a high importance on matched betting learning material. Wanting to position themselves as the best place to learn matched betting for free (and better than any paid sites in fact!). The mse matched betting community is probably it's biggest selling point, however it's not quite as busy as you'd first assume. With the main thread getting almost 6,000 replies you could be forgiven for thinking it was a bustling hot bed for questions, but take into consideration this thread was set up back in 2006 and it will soon be clear that it's glory days are behind them. At Team Profit they use a free to join active Facebook group as their community platform. 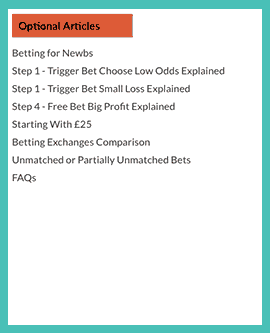 This works well in acting as a team to beat the bookmakers, any questions that beginners ask are displayed and answered for others to see, either by Team Profit Jon or more experienced members. Team Profit Jon also posts up daily pointers to help matched bettors of all levels, these include; trigger and free bet selections for every day of the week, Daily offers worth doing, new and updated features articles. There is no matched betting calculator when using MSE which is a big downer in my opinion, new players should in no way be expected to calculate the lay bet amount without the comfort of using a calculator. 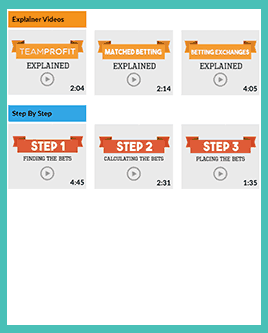 We look after our team and therefore the matched betting calculator comes as standard on teamprofit.com. All you need to do is sign up to joining the team (all free of course) and you'll have access to the matched betting calculator, both the simple and advanced versions. This then allows you to instantly calculate the lay bet needed to make the trigger bets risk-free and to turn the free bets into guaranteed cash.